* NOTE: Please visit all the links from left to right and sublinks in descending order for the most complete educational experience. 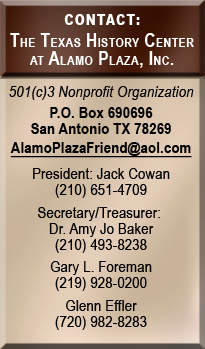 Download a pdf file of the complete Alamo Plaza Project text. Join the Alamo Plaza Project Facebook discussion! 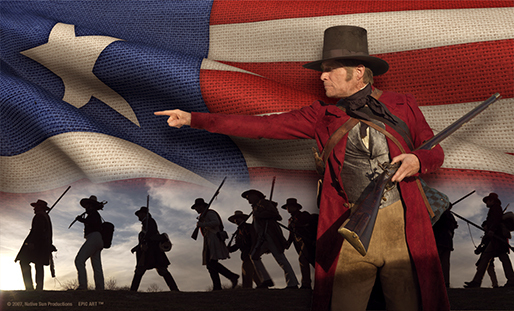 he dramatic story of the Alamo is known throughout the world for its universal themes of courage and self-sacrifice. As our nation, the State of Texas, and the City of San Antonio enter into a new and hopeful era, a bold and fresh vision for presenting our proud and storied past is also on the rise. It is an effort and a concept that embraces all the elements that a world famous site must have – authenticity, reverence, and integrity – all interwoven into the fabric of a world-class presentation. our diverse heritage and the land that sustains us. The goal of the Alamo Plaza Restoration Project (click to download a pdf of the Alamo Plaza Executive Summary) is to enhance the visitor's pilgrimage to the “Cradle of Texas Liberty” by providing a historic atmosphere for personal reflection, inspiration, and learning. We encourage people to seek out their heritage, explore the rich and diverse history of the region, and immerse themselves with the texture of the past. In today’s fast-paced and ever-changing world, we need our historic places to remind us of who we are; both as a nation and a people. 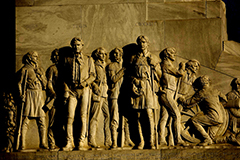 We thirst for value-based bastions – like the Alamo – so that we may contemplate on the heroic deeds of brave and noble men, connect with altruistic ideals, and recall the timeless lessons of Duty – Honor – Country. Alamo Plaza needs to be a place that provides an environment that promotes a dignity and a reverence befitting courageous men who “gave their last full measure of devotion” by shedding their life’s blood onto what is now consecrated ground. We who support the Plaza Restoration Project believe the time has come for Alamo Plaza to evolve….to be the extraordinary place of inspiration and national pride it was meant to be.